Merge Games and Still Running have dated the previously-announced The Walking Vegetables: Radical Edition for Switch. As a digital download, it’ll be out on November 8. 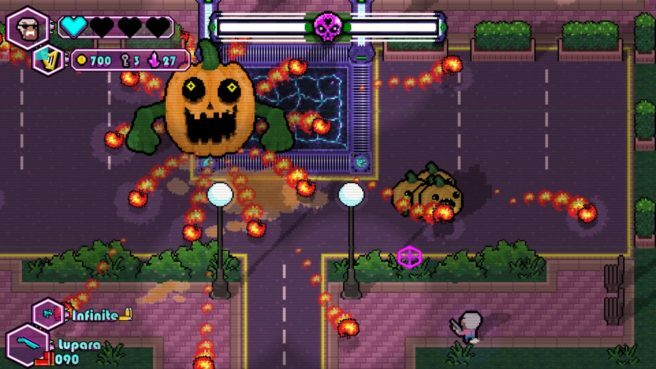 A twin-stick shooter, The Walking Vegetables sees players battling mutated zombie fruit and veg. Armed initially with a simple pistol, players can upgrade their arsenal with a myriad of weapons and gadgets they uncover as they take on the lethal legumes. The Walking Vegetables: Radical Edition will cost $12.99 / €12.99 / £9.99 and will be available to pre-load starting November 1. If you make a purchase by November 15, you’ll receive a 20% discount.